Freshman Montana Fouts has started her Alabama career 4-0, including a complete-game shutout at Arizona. 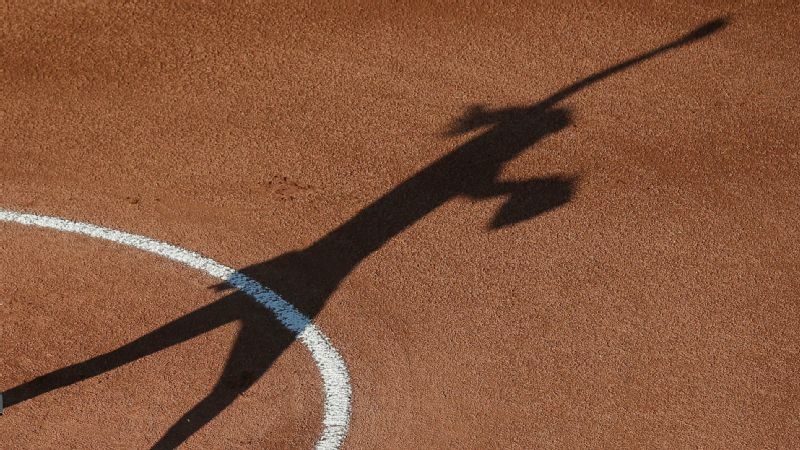 Each week of the 2019 NCAA softball season, espnW will spotlight a candidate for the espnW softball player of the year. This week we introduce Alabama freshman pitcher Montana Fouts. The renovated Hillenbrand Stadium unveiled at Arizona this past weekend is the product of decades of success -- a home that is worthy of one of the sport's iconic programs and the thousands of fans it attracts each game. It's not the House that Jennie Finch built, but legendary names like hers made it possible. Then Montana Fouts, the Alabama freshman pitcher with the kind of name pulled from folklore, spoiled the housewarming. 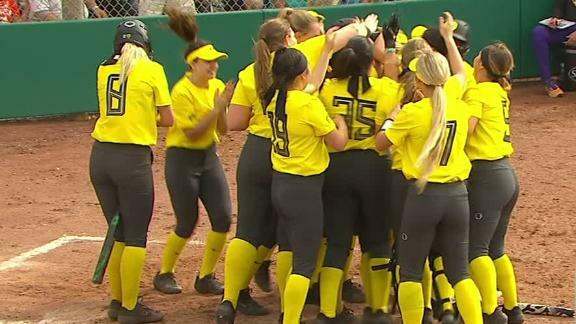 It is a measure of just how far softball has spread, thanks in no small part to Finch, the former Arizona and Team USA pitcher whose camps Fouts once attended, that someone from a Kentucky town with about as many residents as there are seats at Hillenbrand owned the weekend in Tucson. There is no town too small, no state too far from softball's traditional roots. Not anymore. The next great one can come from anywhere. Perhaps she will come from Grayson, Kentucky. "Obviously, Arizona has been one of the top teams, top programs -- they always have been," Fouts said after the Crimson Tide spent the weekend at a tournament hosted by the Wildcats. "They always have the best. Jennie Finch was always my role model growing up, so knowing she comes from there, it was just really awesome getting to play at their field. Brand-new stadium, it was beautiful. It was really great getting to play in front of their crowd like that." Some freshmen inevitably insert themselves in the player of the year discussion. 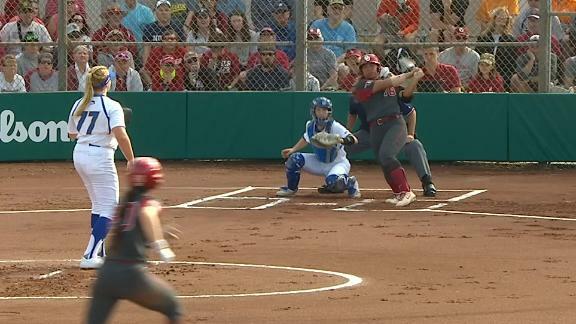 Oklahoma's Jocelyn Alo, UCLA's Aaliyah Jordan and Florida State's Sydney Sherrill did so with their bats a season ago. 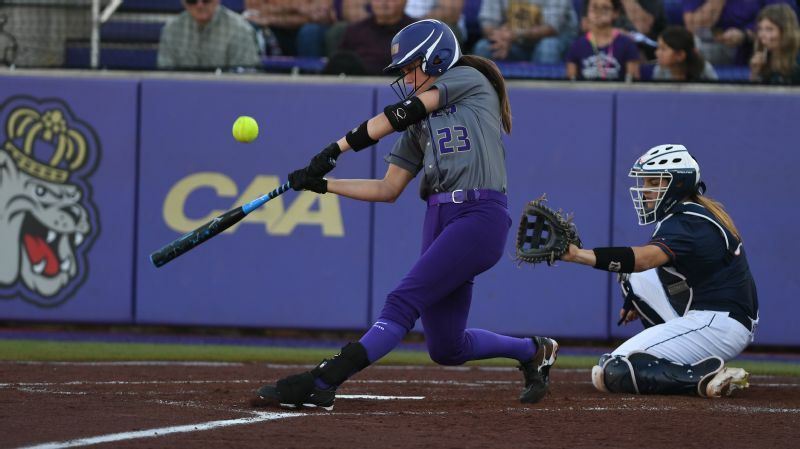 Fouts, the reigning national high school player of the year according to more than one organization, might pitch her way to the front of the line. She made a good first impression during the Hillenbrand Invitational, earning complete-game wins against South Florida and host Arizona and allowing one earned run with 20 strikeouts and no walks. Through two weeks, Fouts is 4-0 with a 0.26 ERA, 33 strikeouts and no walks in 27 innings. 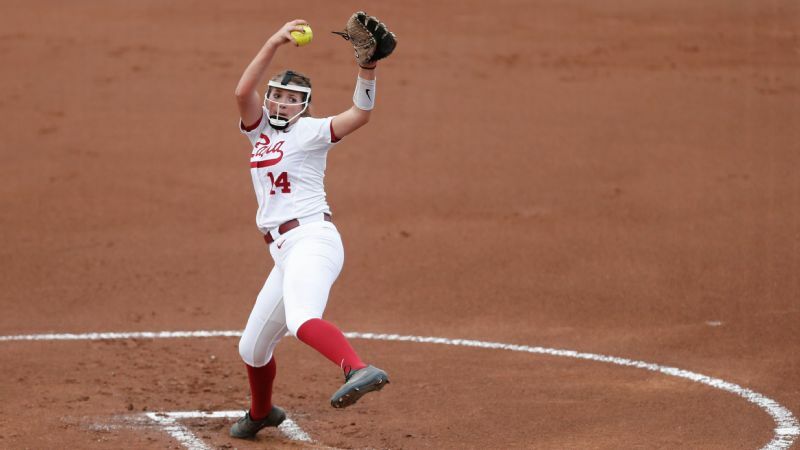 And Alabama appears well equipped to carry on after four years of Alexis Osorio in the circle. Fouts said the crowd when Alabama played Arizona was the largest of her life, attendance peaking at 2,968 for Arizona's two games that day. It is not that bold of a claim for someone from Grayson, a town of roughly 4,000 people. Fouts said she was 8 years old when she participated in one of Finch's softball camps. She was in seventh grade when Tide coaches, who months earlier had won the SEC's first national championship, first made contact. And rather than be an unproven phenomenon dominating overmatched local competition, she played for increasingly more established travel teams, like the Birmingham (Alabama) Thunderbolts and Beverly (Illinois) Bandits. 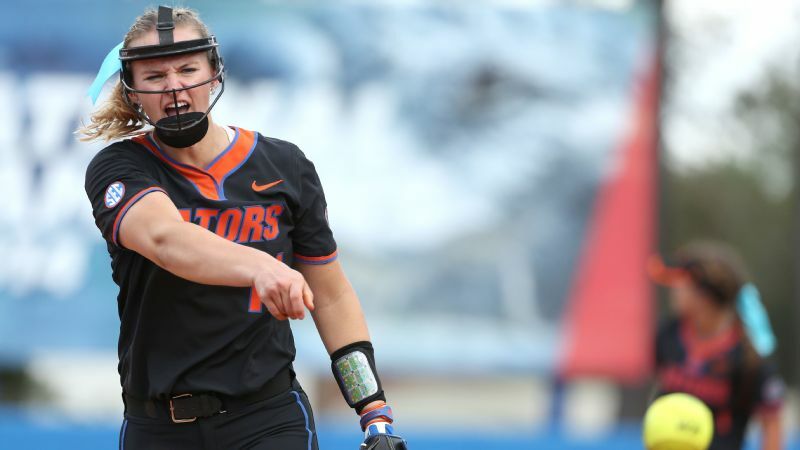 With those teams, she tested herself against the same kind of competition she faced this past weekend in Arizona and will face in the SEC all season. "I never tell a kid who she should play for; I always say play the best schedule that you and your parents can afford to play," Alabama coach Patrick Murphy said of the travel ball world. "That's all we can ask. ... But playing those really good teams is what's going to make you in summer ball. We want to see them playing against kids that are going to UCLA, Arizona, Florida, Oklahoma, all the good teams. If she can match up with them, I know she's going to be fine. "If she doesn't go to those tournaments, it's a lot harder to judge." By the time Fouts got to Tuscaloosa, her softball story wasn't that much different than someone from Orange County. She had no reason to doubt that her skills would translate. "As far as this year, that was a big thing, just trusting everything that I've done to prepare since I was 7," Fouts said. "Leading up to this, it was playing the best competition in travel ball. You're playing kids that are going to Oklahoma or Oregon or Florida. You're playing against them already. ... [It is helpful] thinking that we're all growing up together." She's a kid that absolutely is the hardest-working pitcher we've ever had in 23 years. And she's only been here for six months. The resulting poise is perhaps most evident in her 33-to-0 strikeout-to-walk totals. And she hasn't even pitched a home game yet. Alabama opened its season at a tournament in Troy, Alabama. "I didn't really throw any movement pitches or anything other than a fastball until I was 13 or 14," Fouts said. "Just location and being able to hit your spot as hard as you can every time, that was something me and my dad really invested in. He was the person that pushed me. It was always me and him out there every day. And that was one thing, just hitting the spot that I wanted to five out of five times." There will be bumps in the road. There always are in a league with as many good hitters as the SEC. But the control speaks to two traits. One is the ability to limit big innings by limiting runners. The other is the work ethic to care about hitting a spot five out of five times. "She's a kid that absolutely is the hardest-working pitcher we've ever had in 23 years," Murphy said. "And she's only been here for six months." 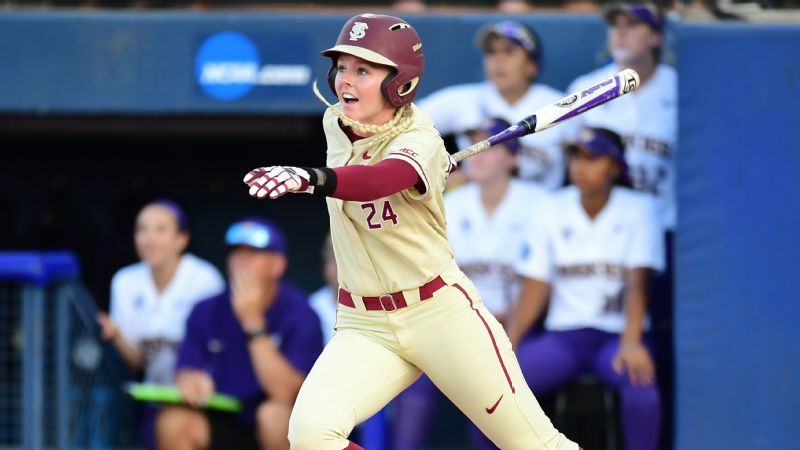 Shortly after the pitcher committed to Alabama as a freshman in high school, Murphy said, a former colleague in the coaching ranks whose daughter played travel softball with Fouts offered congratulations. 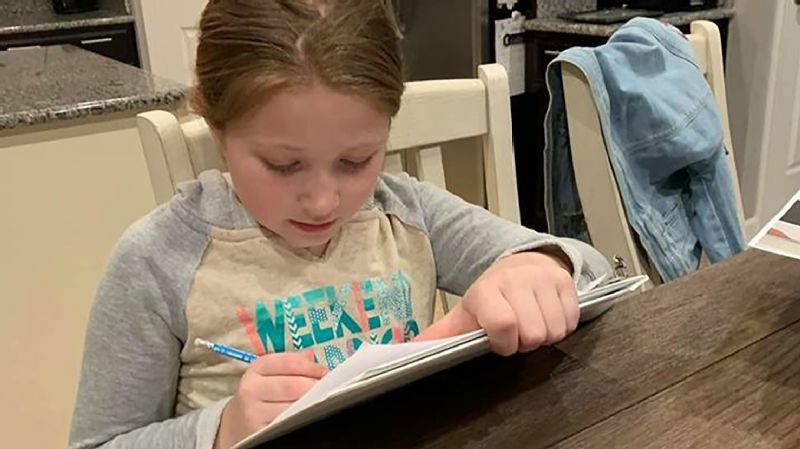 Alabama, she told Murphy, had just signed the next Jennie Finch. Murphy called home soon thereafter and told his mom he had a job through at least 2022. She asked if Alabama had extended his contract. No, he told her, he signed Fouts. And if the coach can ever get over his nightmares of losing the freshman to an opponent's stray pitch, he may even let the prodigious high school slugger swing the bat. Just like Finch used to in the old Hillenbrand Stadium. It's the stuff of, well, legend. Ready-made for a player whose name is an homage to a state her dad loved on a hunting trip. "It is one of the coolest names we've ever had," Murphy said. "Because she's going to be one of those kids where if you just say 'Montana,' you're going to know who it is."